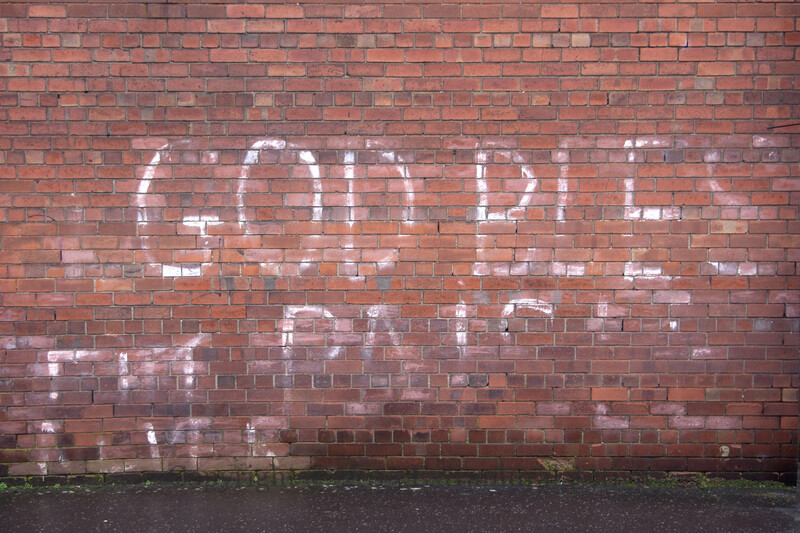 Gardiner Street graffiti: “God Bless Paisley, Fitt Never.” The graffiti is more than 40 years old, perhaps dating to 1971 or earlier. In 1971, Ian Paisley founded the DUP (in September) and had supplanted Terence O’Neill as the leading unionist politician. Gerry Fitt at that time had recently formed the SDLP and would represent West Belfast under that affiliation in 1974 and 1979 until Gerry Adams won the seat in 1983. The Northern Ireland Assembly was still sitting.